The Pocono Mountains offer endless fun and a variety of diversions of family attractions, recreation, shopping and natural scenic beauty. Escape to our rolling hills for a comfortable and relaxing vacation. A fine campground with many nice touches. We stayed here on a holiday weekend. Park was very clean and aesthetically pleasing. The roads are narrow but in good condition. Camp store was clean and well stocked. The staff we encountered were all very friendly. Our site was nicely shaded and roomy but sites are very close together. You can hear what your neighbors are saying but we didn't find it to be a problem. The site was gravel and relatively level. Water pressure was adequate but not great. While leaving I noticed the power pedastol was reversed polarity as indicated by my power surge protector but I didn't suffer any problems during our stay. WiFi is offered but we had a horrible time trying to connect with the username and password system. We were able to connect with one device at a time but most of the time not at all. This was not a reception problem but because of the security to sign in. We are in the middle of the country, who is in the area to steal Wifi? The fishing pond is across the street and we caught tons of Sunny's and one trout. The pool was crystal clear and super clean. Overall this is a very nice campground. People are friendly, atmosphere is relaxing, very quiet, very clean. We will definitely return as we enjoyed our stay. First time camping with our new Class A Motorhome! Enjoyable experience. Friendly staff, clean camp sites, very well kept, lots of shade. Restroom facilities were clean. Took us directly to our pull thru site (nice selection of pull thru sites), plenty of room, especially for first timers with a 36' plus rig! Nice clean pool. At certain sites you can hear road noise and see cars, but not an issue. Just a nice, relaxing place to stay for a weekend. Roads in campground are a bit narrow and very bumpy, thus the 5 mph signs! But we even were next to a large double axle Class A…so it's doable! Nice and quiet in the evening. Great Customer Service at Mountain Vista! Just booked a girls weekend! A definite keeper! 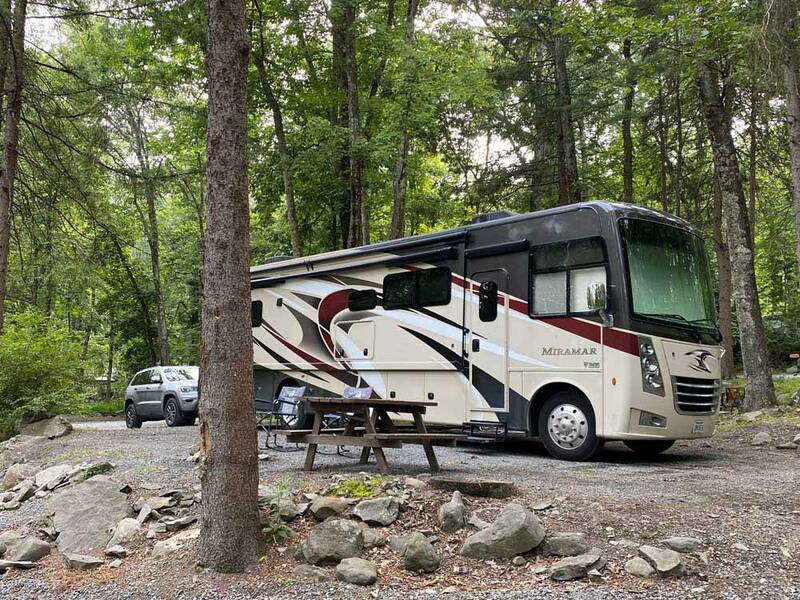 Beautiful campground, fully stocked camp store, honored all discounts, we enjoyed our stay, the staff was very helpful, we would stay again.